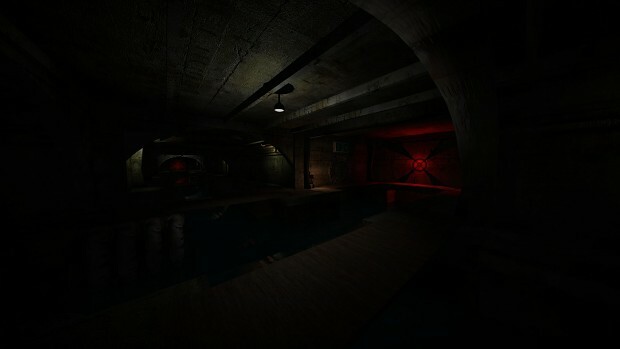 A Demon's Game" is a very unique title, but keeps true to it's horror roots, the game focuses on creating a terrifying atmosphere, rewarding exploration, and engrossing players in the rich lore of its world, moving away from the trend of incessant jump scares and low production quality is our main goal. Sometimes you have to commit yourself to achieve something in life, You need to sacrifice yourself for the greater good, and triumph over all barriers between you and that goal. My name is Daniel. I used to live a normal life... I had a decent job, a beautiful wife... But everything has changed, and now I have to get her back and save myself. I'm ready to go to the deepest corners of hell if I have to, if it means I get to see her again. The game's plot may seem to be simple and somewhat cliché, however we ensure you that there will be a level of depth beyond the generic indie horror game story. For fans of games with deep, well thought out stories, you will not be disappointed. You will explore a variety of areas, each one vast and full of its own secrets. Each enemy you encounter is unique in its traits and tendencies. You will be forced to be quick on your feet to outsmart and defeat the scourge separating you and your goal. In "A Demon's Game" you can make your own choices, which will affect your future like you'd expect, but the choices are all unique in a way that not only will it change where you go and what you do but the end to your journey as well, the game currently has over 18 endings for you to discover. From something as big as refusing to kill a demon or something as small as not going through a specific area, everything will be taken into account when you play the game.